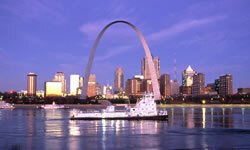 St. Louis offers a wide variety of unique attractions and one-of-a-kind dining options, making it an amazing destination for student groups. From a host of fun, free and educational attractions to group-friendly places to eat and stay,.. Both Toronto and Niagara Falls, Ontario will provide tons of fun and educational opportunites for students. See the 7th Wonder of the World, the Horseshoe Falls . You will get up close and personal with the fall..
World-famous museums, inspiring monuments and powerful moments await you in Washington, DC . The diverse and beautiful USA capital, Washington, DC invites you to discover fascinating free attractions like the ..